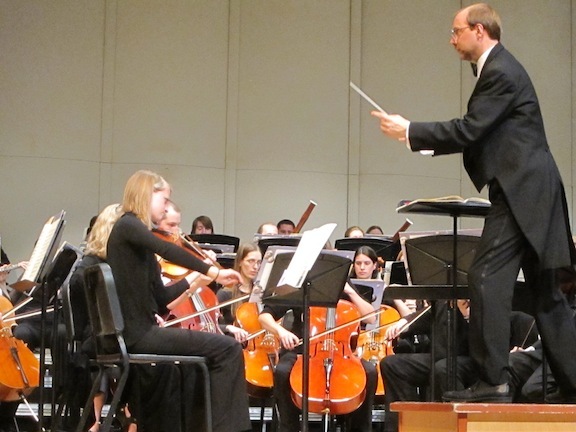 Classical music: Conductor Steve Kurr talks about the all-Beethoven program that the Middleton Community Orchestra performs this Friday night with pianist Thomas Kasdorf and the Madison Symphony Chorus. 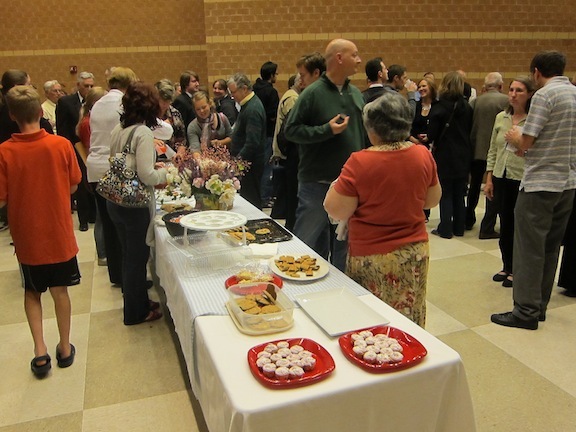 It is definitely not your typical program at holiday time. But it sure is appealing — and timely too, given the birthday on this Wednesday, Dec. 16, of Ludwig van Beethoven (1770-1827). 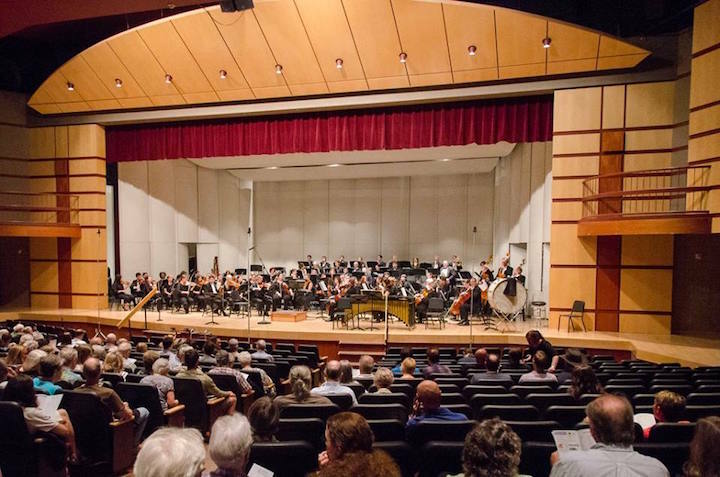 This Friday night – NOT the usual Wednesday night concert time — the mostly amateur Middleton Community Orchestra (below) will perform a big and ambitious all-Beethoven program. 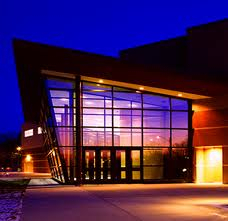 The concert starts at 7:30 p.m. in the Middleton Performing Arts Center (below, the exterior and interior) that is attached to Middleton High School. The program features the Symphony No. 3 in E-flat Major “Eroica” and the Choral Fantasy. 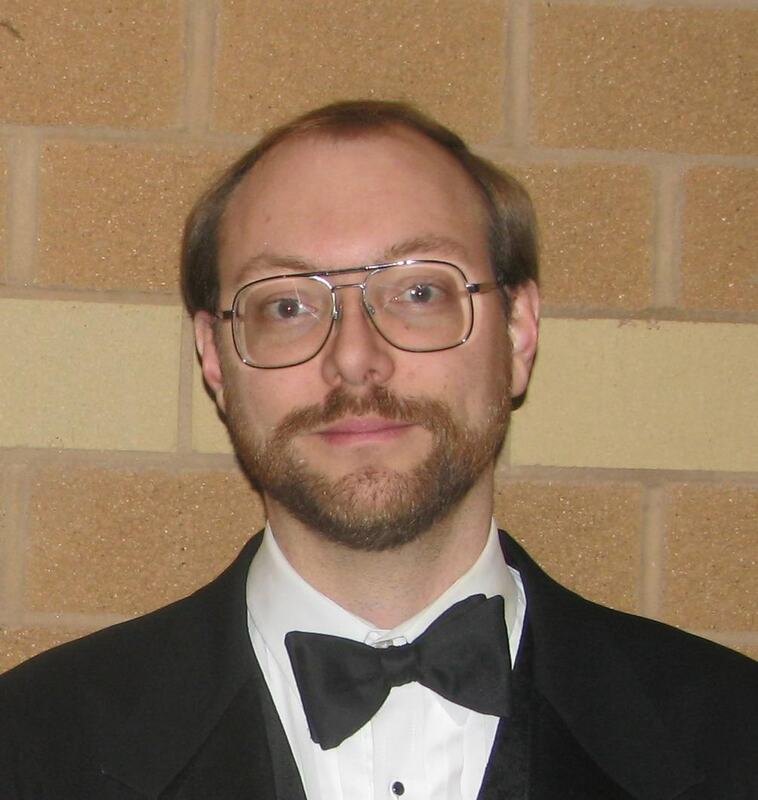 Guest artists include the Madison Symphony Chorus and returning pianist Thomas Kasdorf. Admission is $10; free for students. Advance tickets are available at a variety of outlets. 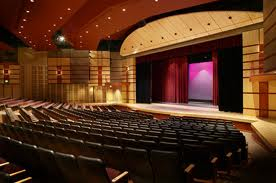 The box office opens at 7 p.m. and the theater opens at 7:30 p.m.
As always, there will be an informal meet-and-greet reception for musicians and the audience after the performance. Conductor Steve Kurr took time out from his busy schedule of teaching and rehearsing to discuss the program via email with The Ear. The “Eroica” is one of Beethoven’s biggest, most famous and most popular symphonies. 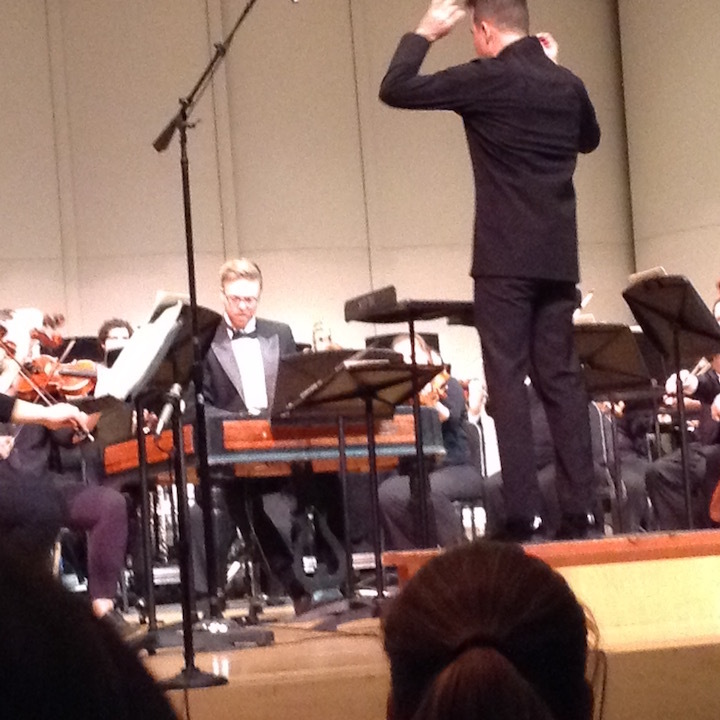 Why did you program it for an amateur orchestra? I think you answered your own question. Our musicians and our audience are interested in experiencing a titanic work like the “Eroica.” We are having a spectacular time as we prepare the work–learning the ins and outs of this symphony and getting to know more about Beethoven and his compositional processes. And it has opportunities for each instrument to shine, so it is fun to play. What kind of technical and interpretative challenges will the “Eroica” pose to you and to the players in the Middleton Community Orchestra? One of the toughest parts of the “Eroica” is its size. Clocking in at around 50 minutes, this work can be taxing for players both physically and mentally. In addition, there are some overarching ideas that Beethoven begins in the opening movement that are not resolved until the finale and we have to keep those in mind over the length of the whole symphony. What special things should the public listen for in the “Eroica”? 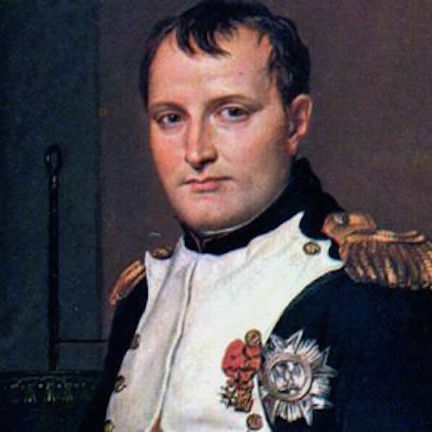 The connection of this symphony to Napoleon is well documented. Beethoven (below top) dedicated the work to the French leader, but was so incensed when Napoleon (below bottom) declared himself emperor that he scratched the dedication out on the cover page. But the original idea of the piece being “heroic” remains. The work was composed around the same time as his ballet “The Creatures of Prometheus” and includes some similar thematic material. Think about Prometheus as you listen. The premier coup d’archet (“opening stroke of the bow”) at the very start calls the audience to sit up and pay attention–a very exciting way to start. Tovey’s Cloud: The odd resolution to the opening phrase (heard in the cello just seconds into the first movement) was identified by musicologist Donald Francis Tovey back in the first half of the 20th Century as a cloud that hung over the work and is not resolved until much later in the work. The accents throughout the opening movement obscure the meter and propel the movement forward, and there are some exquisite dissonances in the first movement that increase a tension that does not truly resolve until the finale. It is almost as if the Romantic Period is struggling, as we listen in, to emerge from the composer’s pen. Right before we return to the opening material in the first movement, the strings become as quiet as they have ever been and the horn barges in with an “accidental” statement of the first theme. Publishers and conductors at first thought it was a mistake in the parts, but the sketches for the piece included that little gag from the very beginning. For the first time, the dance movement (the minuet in earlier symphonies, the scherzo by this work) has taken on a scope and weight equal to the rest of the piece. The da capo or repeat of the scherzo movement is completely written out (a major use of ink in his day) so that he could insert just a few measures of duple meter in one spot–definitely a curious and charming moment. The theme upon which the finale is based is one of those Prometheus melodies, but it also shows up in a set of piano variations and in a contredanse. Overall, the finale has a definite feeling of dance to it. The finale combines the idea of a set of variations and the sonata form concept. What did you program the Choral Fantasy with the Eroica Symphony? Who will perform the choral part in the Choral Fantasy? And what should we listen for in the work? We are extremely excited to be joining with the Madison Symphony Chorus (below in a photo by Greg Anderson) for this endeavor. It will be one of our first times working with a chorus, and we are all looking forward to the chance to collaborate with this first-rate ensemble. 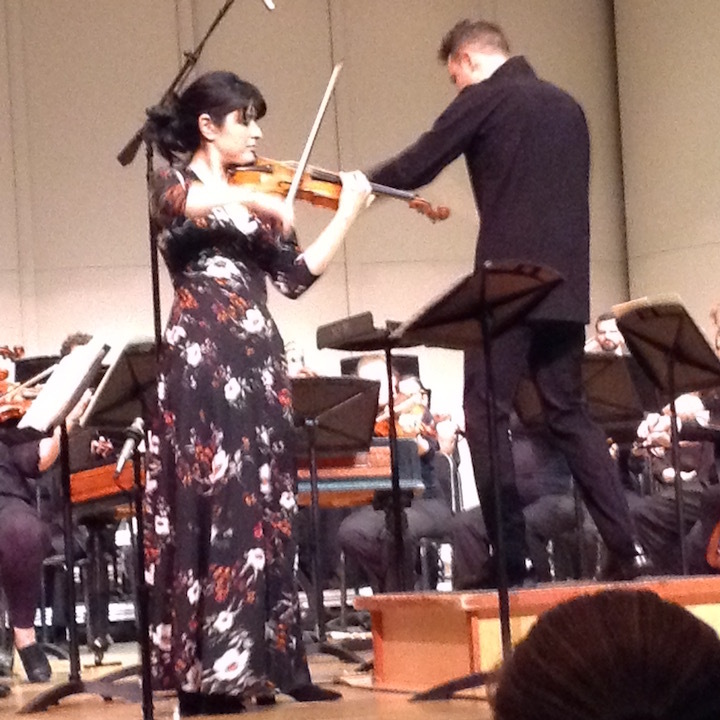 The piece is an unusual one: it begins with a large piano solo section followed by a section that trades back and forth between the soloist and the orchestra. 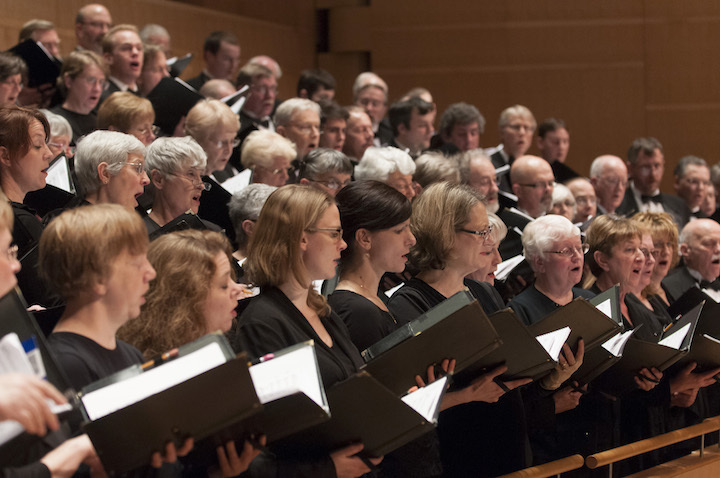 It ends with the piano, orchestra and chorus joining together for a rousing finish that foreshadows the last movement (“Ode to Joy”) of the Ninth Symphony. 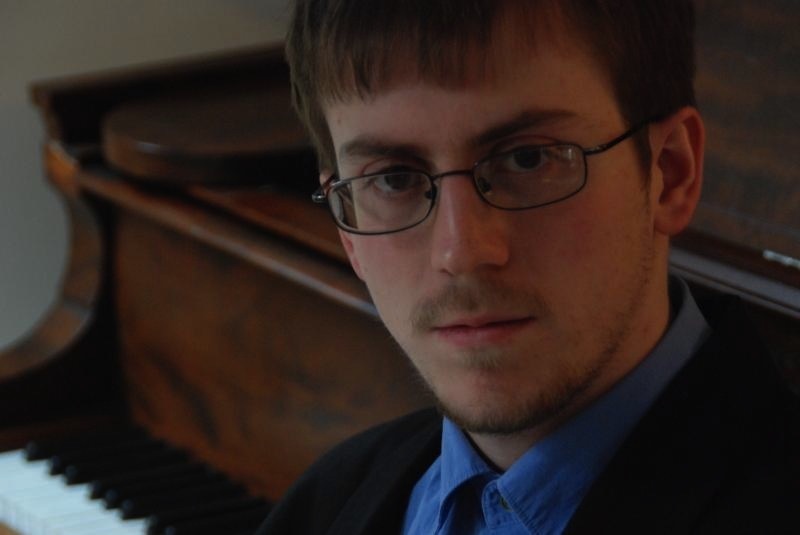 Thomas Kasdorf, a talented Middleton native and a graduate of the University of Wisconsin-Madison School of Music, is the piano soloist in the Choral Fantasy. He has done a number of concertos by other composers such as Edvard Grieg, Wolfgang Amadeus Mozart and Peter Ilyich Tchaikovsky with you. Will he become a regular with the MCO? Might you do a cycle of Beethoven piano concertos with him? 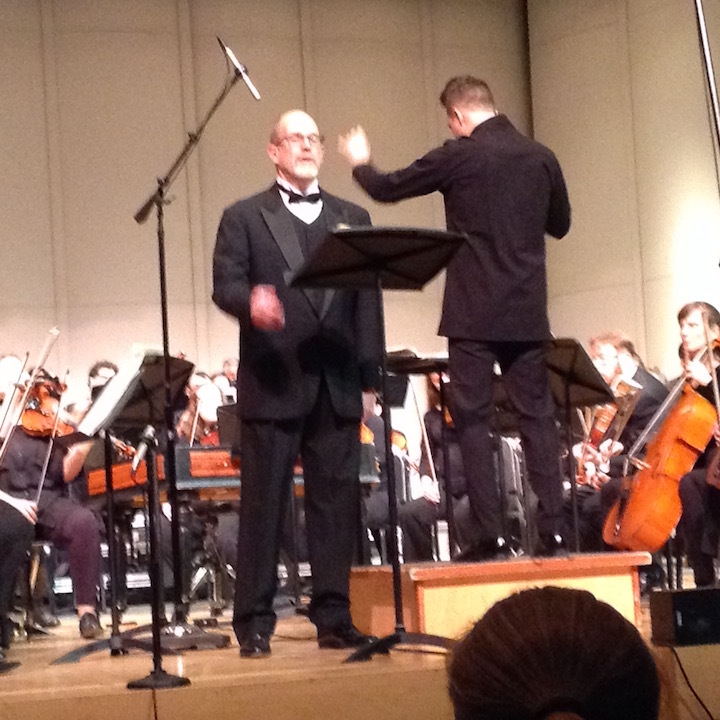 We always enjoy having Mr. Kasdorf as our soloist. He is an excellent musician and he is what I might call a low-maintenance soloist–working with him is effortless. 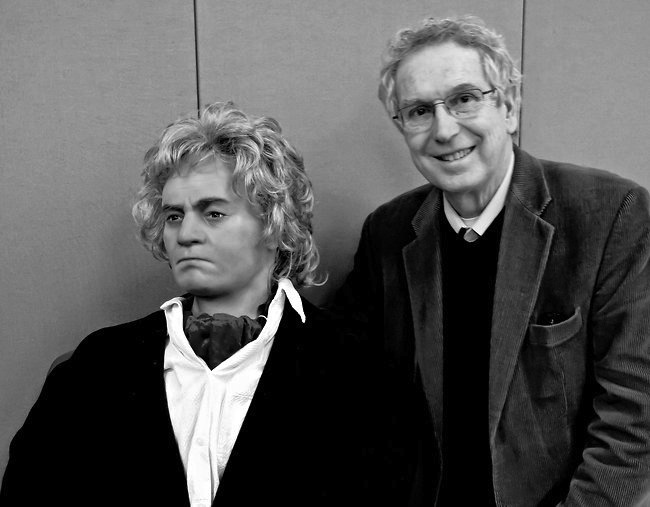 I sincerely hope to continue our collaborations, but I hesitate to speculate on any future repertoire. But the Fourth Piano Concerto of Beethoven is a favorite of mine, so Thomas and I may have to chat. It is such an honor to work with these marvelous people in the Middleton Community Orchestra. This is our sixth season and we continue to enjoy spending our Wednesday evenings making music together. Classical music: How did Tchaikovsky’s “1812 Overture,” which celebrates Russia’s victory over Napoleon, became a staple of Fourth of July celebrations in America? 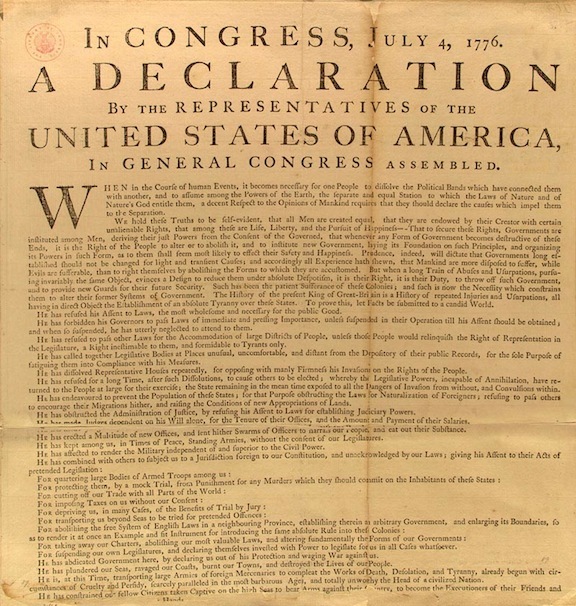 Today is our national holiday: The Fourth of July — America’s annual Independence Day, which celebrates when the new nation’s Declaration of Independence (below) from Great Britain was issued in 1776. Every summer, even as they are cheering and applauding the music and fireworks, a lot of Americans ask the same question: How did Tchaikovsky’s “1812 Overture” – complete with ringing bells and booming cannons – become such an integral part of Fourth of July celebrations? And an integral part of July 4 and Independence Day it certainly is, as you can hear in almost all celebrations and fireworks displays. 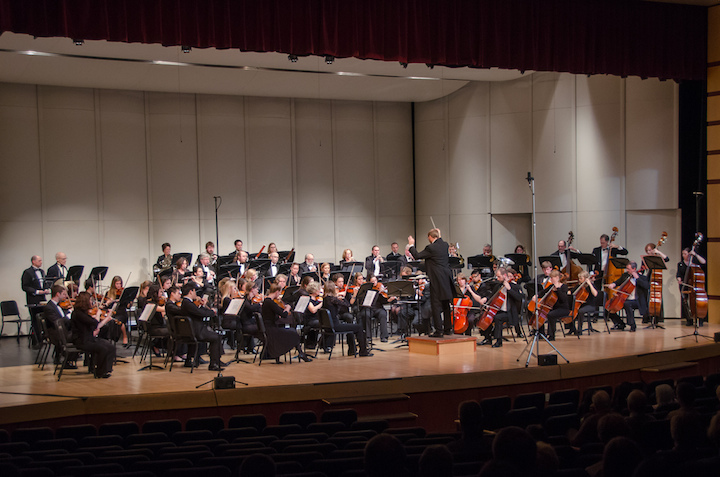 nJust listen to the Wisconsin Chamber Orchestra’s second Concert of the Square tonight, starting at 7 p.m. This summer, where the dangerously dry weather doesn’t force officials to cancel fireworks, Fourth of July celebrations and fireworks shows will begin this weekend and go through the week, with some celebrations postponed until August or even September. It was commissioned by the Czar and written by Tchaikovsky (below) to mark Russia’s victory over Napoleon’s invasion. So how did it become such a part of American lore? Even the people who love hearing the music can’t really answer that question. But the answer is easier and makes more sense and is more recent than you might think. But recently musicologist Jan Swafford recently answered that question on NPR. It was the best and most comprehensive answer that The Ear has ever heard. It eve has a section-by-section analysis of the music with samples. 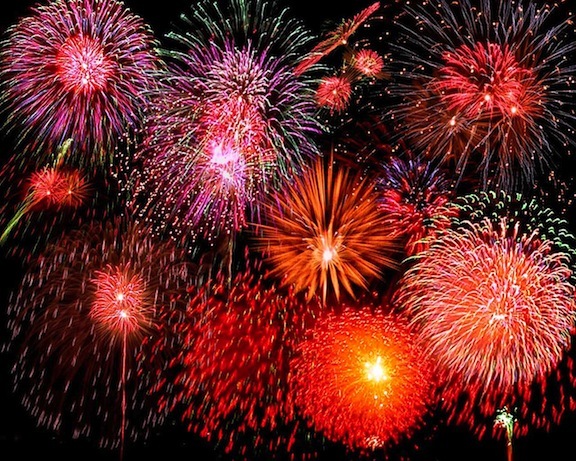 It is worth reading and especially listening to if you want to know, once and for all, how the famously loud overture was transplanted to the American celebration of Independence Day. Classical music: How would Beethoven like America? And why did America love Beethoven? Ask Michael Broyles. 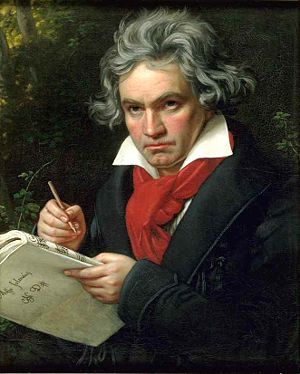 It is a well-established fact that Beethoven was a liberal for his day a defender of democracy who dedicated his “Eroica” Symphony to Napoleon and then crossed out the dedication when Napoleon declared himself emperor. 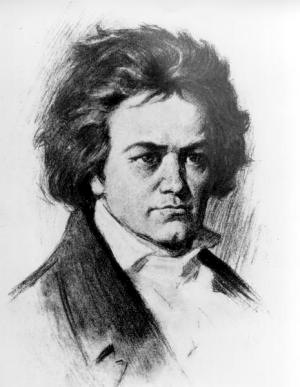 Of course, Beethoven (below) also had close ties to the aristocracy, which provided him with patrons for his work. But he was suspicious of royalty and generally favored populism. So how would Beethoven have liked America? These are intriguing questions. You think they would have been explored at length before. But scholar Michael Broyles has written “Beethoven in America,” a book-length study of these questions, and the book has generally been very well received. What do you think of Broyles’ argument? If you read the book, what do you think of it? 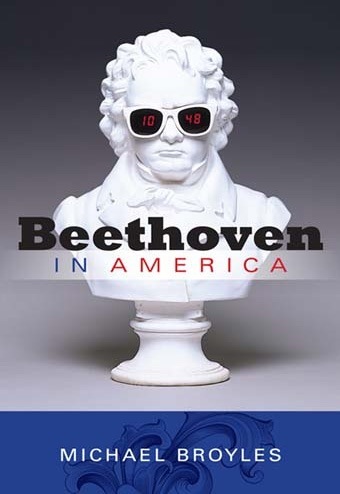 And why do you think Beethoven is so popular in America – ad whether Beethoven would have liked America in hid=s lifetime?